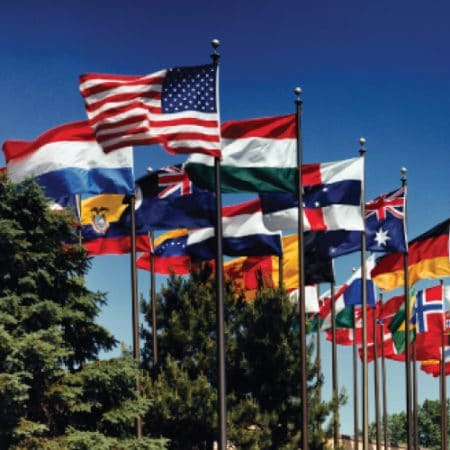 We offer a wide variety of aluminum and fiberglass flagpoles in different to accommodate various weather conditions and to meet any of your needs. All of our flagpoles are available with an external or internal halyard system. We offer flagpole installation and repair in the Chicagoland area. Please contact us to discuss your needs so we can assist you in selecting the correct flagpole option.